In 1784, when Americans first voyaged to China, they confronted Chinese authorities who were unaware that the United States even existed. Nevertheless, a long, complicated, and fruitful trade relationship was born after American traders, missionaries, diplomats, and others sailed to China with lofty ambitions: to acquire fabulous wealth, convert China to Christianity, and even command a Chinese army. 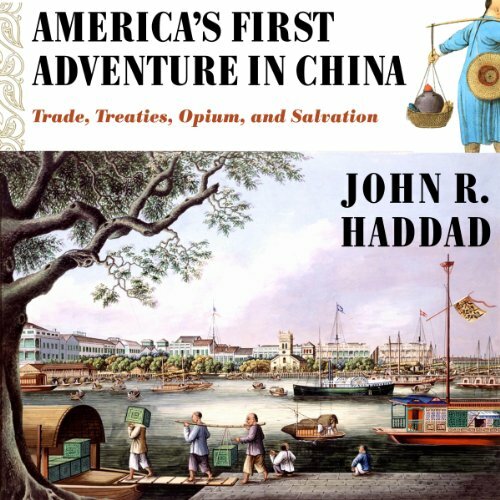 In America's First Adventure in China, John Haddad provides a colourful history of the evolving cultural exchange and interactions between these countries. He recounts how American expatriates adopted a pragmatic attitude - as well as an entrepreneurial spirit and improvisational approach - to their dealings with the Chinese. Haddad shows how opium played a potent role in the dreams of Americans who either smuggled it or opposed its importation, and he considers the missionary movement that compelled individuals to accept a hard life in an alien culture. As a result of their efforts, Americans achieved a favourable outcome - they established a unique presence in China - and cultivated a relationship whose complexities continue to grow. John Haddad is an Associate Professor of American Studies and Popular Culture at Penn State Harrisburg. He was awarded the Gutenberg-e Prize in 2002 for his dissertation, which was published as The Romance of China: Excursions to China in U.S. Culture, 1776-1876.